ART + PLAY = FUN! Fast, fun and challenging board game for the iPad and iPhone. Blue dots vs red dots. Connect your dots top-to-bottom to win. Play a human or the computer. A new classic board game by Lightorium.com LLC. 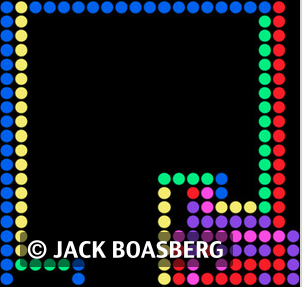 Zippityzag is a fast-paced action maze game. A fun and challenging board game for the whole family. You can play zippityzag on your iPhone and iPad. 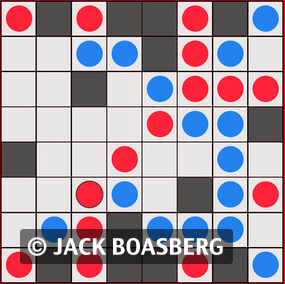 To win, keep your dots moving on the screen longer than your opponent does. Play against a human or the computer. Play + Art = Fun!